Create vivid patterns on fabric using foliage and other elements from nature. This simple, eco-friendly dyeing technique uses a direct contact printing method, drawing out pigments from plants to make interesting and sometimes surprising designs on fabric. 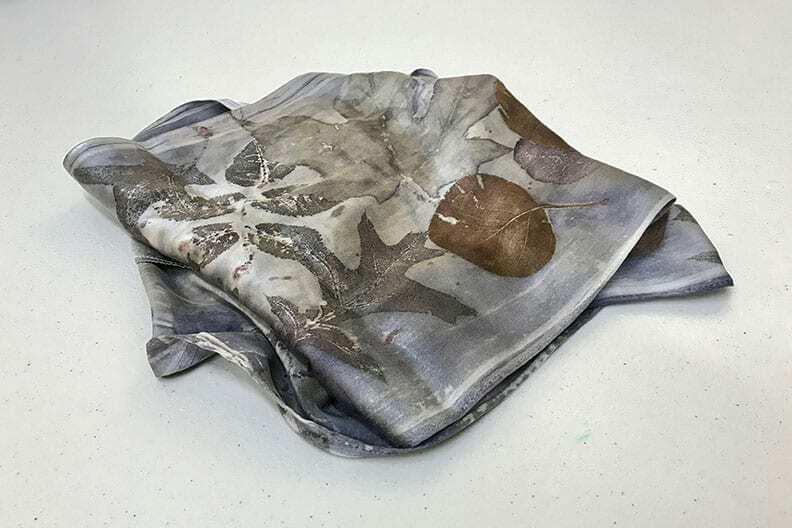 Transform plain silk scarves into beautifully printed, one-of-a-kind pieces. You’ll go home with two silk scarves! Impact: Natural pigments from nature replace toxic dyes which may contain ingredients such as lead, cadmium, chromium, and mercury. Participant Materials and Requirements: All materials provided. Optional: participants may wish to collect and bring leaves to experiment with various outcomes. Blackberry leaves, oak, maple, hydrangea, hazelnut, walnut, and red rose bush leaves are all know to produce beautiful results. Eucalyptus will be provided. 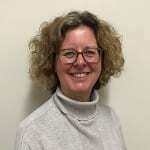 About the Instructor: Diane Lundberg has been eco-printing for eight years, exploring the outdoors and enjoying the unexpected beauty that nature can give us.